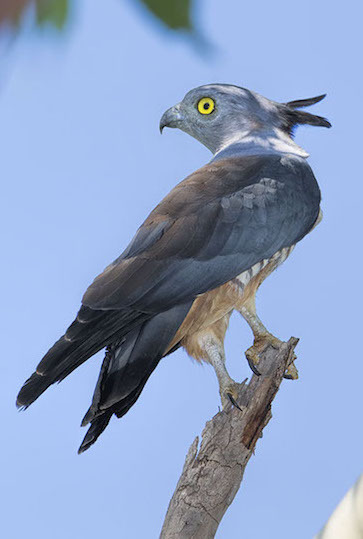 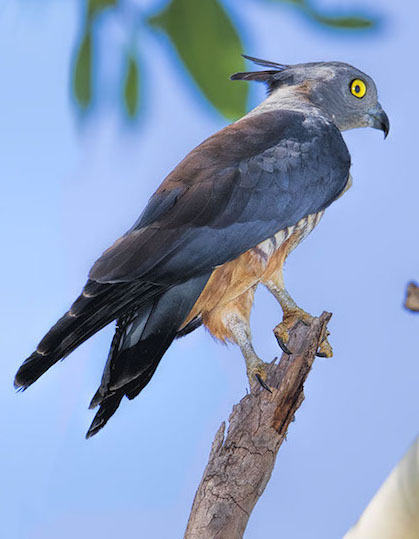 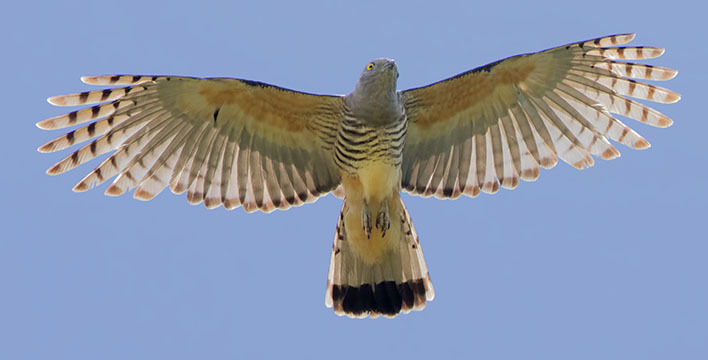 Bazas are unusual raptors with cockatoo-like crests and staring yellow eyes. 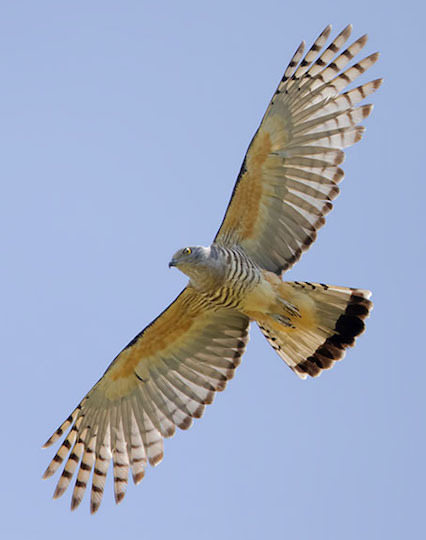 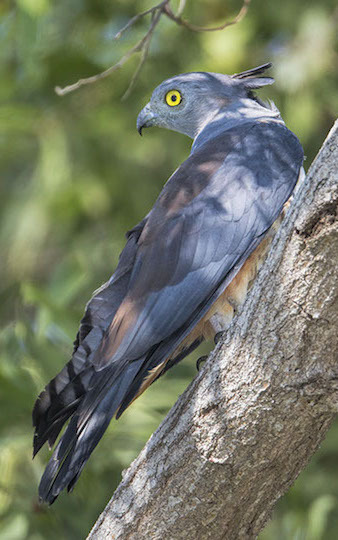 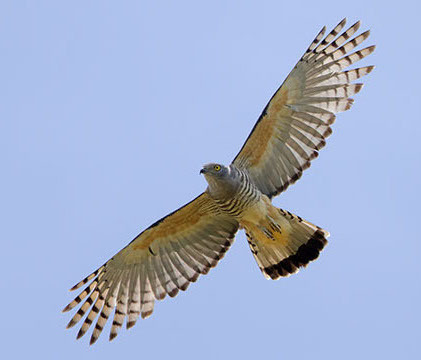 The Pacific baza is found in dense forests in northeastern and northern Australia. 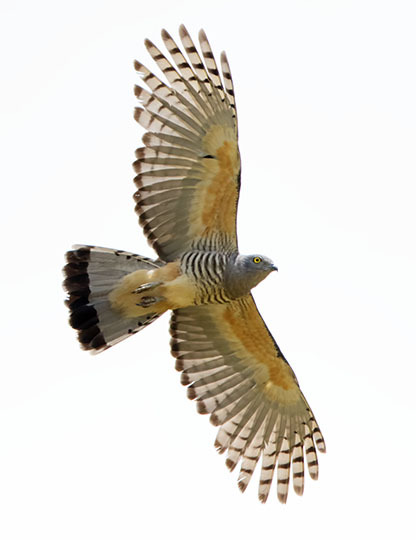 These were in Darwin in the Northern Territory, and on the Atherton Tableland in far-north Queensland.